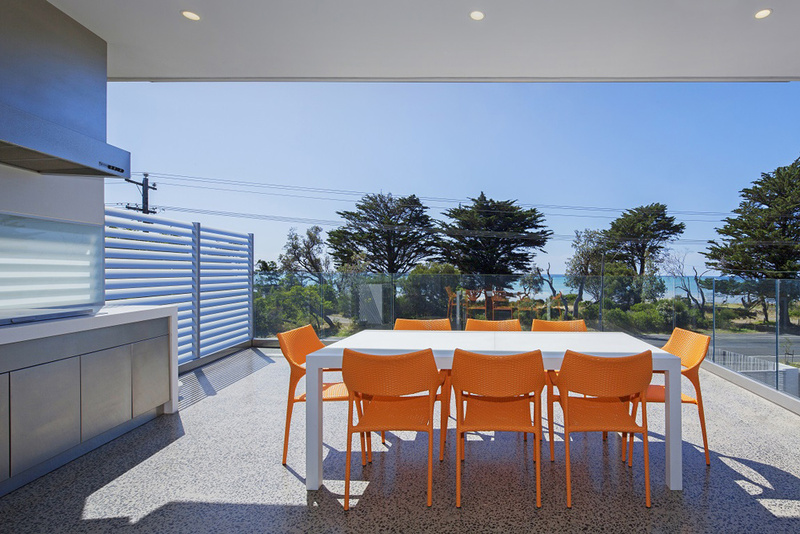 This energy efficient beach house design on the Mornington Peninsula accommodates extended family and friends and makes the most of its outstanding Port Phillip Bay views. 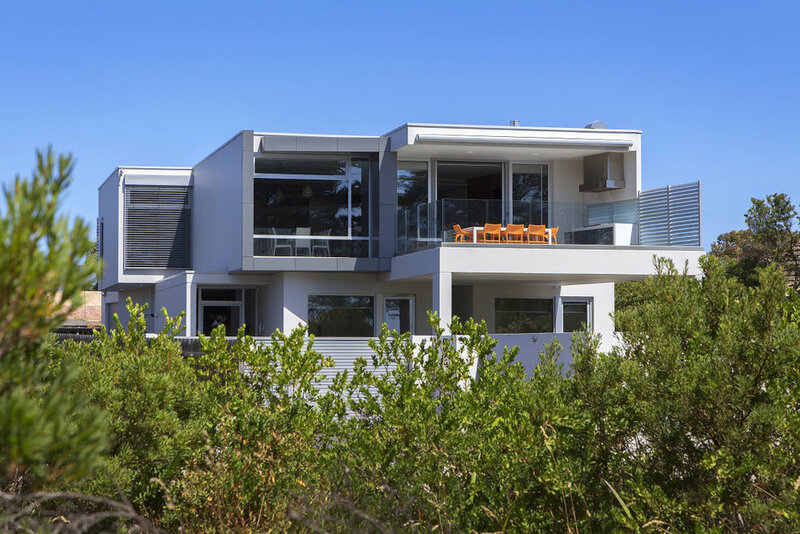 We designed the holiday home with Thermomass precast panels, an insulated concrete ‘sandwich’ wall system, that speeds construction onsite and ensures an energy efficient house and air tight building envelope and garnered this home an almost 8 star energy rating. With these high-performance precast concrete panels, we could also push the volumes of the design to achieve soaring three-metre high ceilings for visual impact and improved air flow. 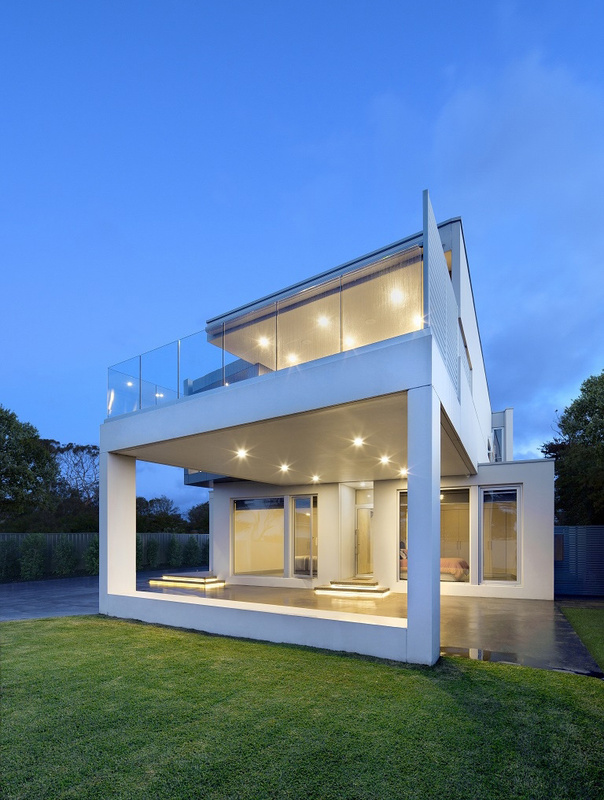 Designed to be a low maintenance beach house with liveable home design (universal design) principles, the home features an internal lift, wide doorways and level floors into showers so it can be used through all stages of life and all abilities. The home features rainwater collection for garden and toilet use, double glazing, high-end European appliances, and an earthy tone palette with naturally finished surfaces to lend the home high style. 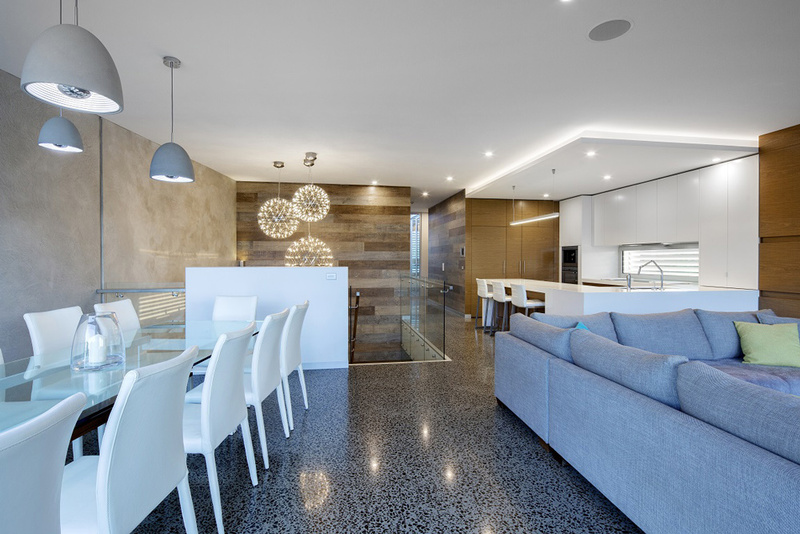 The polished concrete, hydronically heated floors are operated by iphone, part of the home’s automation, smart home wiring and security system. This luxury vacation home – with its own open air theatre! – is designed for large family gatherings and bay play, balancing energy efficient design with views from every room and ‘wow’ factor.